Ajman University of Science and Technology issued the following announcement on April 8. Wanted to check or have your teeth treated, but have concerns over high costs? There is no need to worry anymore. Such costly services have become not only closer but most importantly for free. 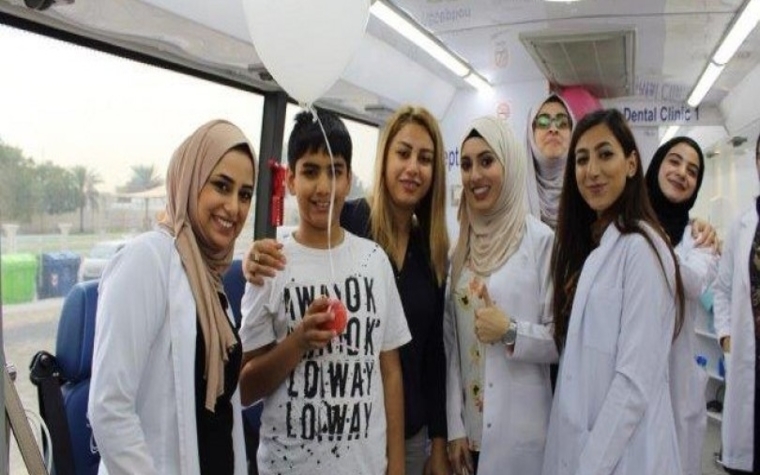 The Ajman University Mobile Dental Clinic, committed to low-income people, has offered its quality diagnostic and treatment dental services all over the country. As many as 365 people have enjoyed these quality services in the emirates of Dubai, Sharjah, Ajman and Ras Al Khaimah over February and March, according to informed sources. The same quality services have been offered for free at the Public Transport Corporation in Ajman where 53 workers and staffers were either checked or treated, they added. The two-unit clinic are fully equipped with the latest gadgets; spanning an X-ray machine and a sterilization device, the same sources underlined.